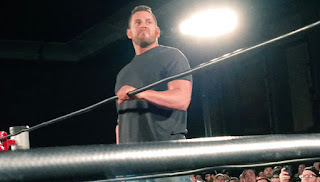 Hello and welcome to another ROH TV review from yours truly Nathan here as we begin the second week of the tapings from War Of The Worlds, so let's get started. The action begins as both Okada and Sydal trade arm locks before Sydal brings Okada to the ground. Okada gets back up and hits a shoulder block and then quickly goes for the Rainmaker, but Sydal ducks out of it. Sydal goes for a tornado DDT out of the corner, but Okada dropkicks Sydal off of the top turnbuckle to the outside of the ring as we head to commercial. Back from break and Okada has gained control by ramming Sydal's head repeatedly into the turnbuckles. Sydal hits a standing moonsault on a grounded Okada for a near fall. Okada recovers and Sydal comes off of the top rope with double knees for another near fall. Okada kicks out and recovers hitting Sydal with Red Ink for a near fall. Sydal hits a reverse Hurricanrana and follows it up with a shooting star press, but Okada gets the knees up. Okada hits Matt Sydal with the Rainmaker and scores the win via pinfall. 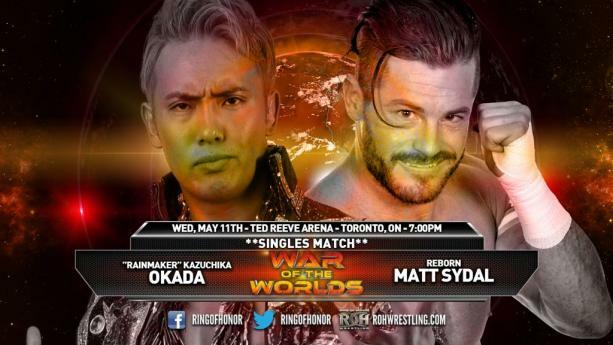 Match Result: Kazuchika Okada defeats Matt Sydal via pinfall after the Rainmaker. This was a fun Match to kick off the hour this week. From there, we go to a pre-taped interview where Silas Young says that ACH is not a man. We now go to the second match of the night. The two begin by locking up and Cabana shoves Page back to the corner. Cabana goes to the outside early on and Page hits a standing shooting star press on Cabana on the outside. Back in the ring, Page hits Cabana with a clothesline and dropkicks him into the corner before scoring a near fall. Cabana recovers and jumps off of the rope and lands on his feet before hitting Page with a chop. Page gets on the apron and slingshots into the ring to hit a clothesline for a near fall. Cabana recovers and hits a springboard moonsault for a near fall of his own. Cabana wins the match via pinfall with a weird pinning combination before getting attacked by the Guerillas of Destiny. The Guerillas of Destiny hang Colt Cabana from the ropes, but this network can't show it, so that's that. From there, we go to a pre-taped promo where The All Night Express say that they are going to make wrestling great once again. They then begin to make fun of Jushin "Thunder" Liger as well as Cheeseburger. Next, we go back into the arena and BJ Whitmer is out to talk about his upcoming match with Steve Corino. 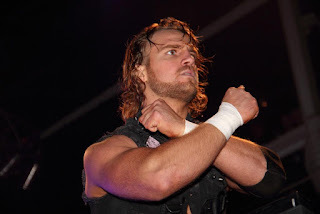 He says that he is going to steal Corino's soul before Corino makes his way out to the ring. From there, the two men are separated as we go to commercial. ACH tells us that we can do what we want and that Silas is not man enough to hold down his house. It is now time for the main event of the evening. Thoughts: Lethal and Dijak begin by beating the holy hell out of each other in the center of the ring trading fists. Dijak quickly throws Lethal over the top rope and follows him out before suplexing Lethal onto the floor. Lethal recovers and turns the momentum to his favor and drives Dijak spine first into the barricade. Lethal dropkicks Dijak off of the ring apron from the top rope. Lethal hits three consecutive suicide dives, but gets caught and thrown into the steel barricade on the outside while attempting the third one. Dijak dives onto Lethal on the outside, back in the ring and Lethal who has since recovers hits a cartwheel dropkick, but can't capitalize because he hurt his knee earlier on in the match. Lethal goes for a lethal combination, but Dijak reverses it. Lethal hits a German suplex and a step-up enziguri before getting caught with a discus boot from Dijak. Lethal comes off of the top rope while Dijak is down, but Dijak was playing possum as he grabs Lethal by the throat and Lethal appears to be in shock. Lethal hits a superkick and goes for the lethal combination, but gets caught by a Dijak powerbomb. Dijak misses a moonsault attempt and Nana gets in the ring apron, but Taeler pulls Nana off before slapping him. In the midst of all of the chaos Lethal is able to score the desperation win over Dijak via pinfall after a Lethal Injection. 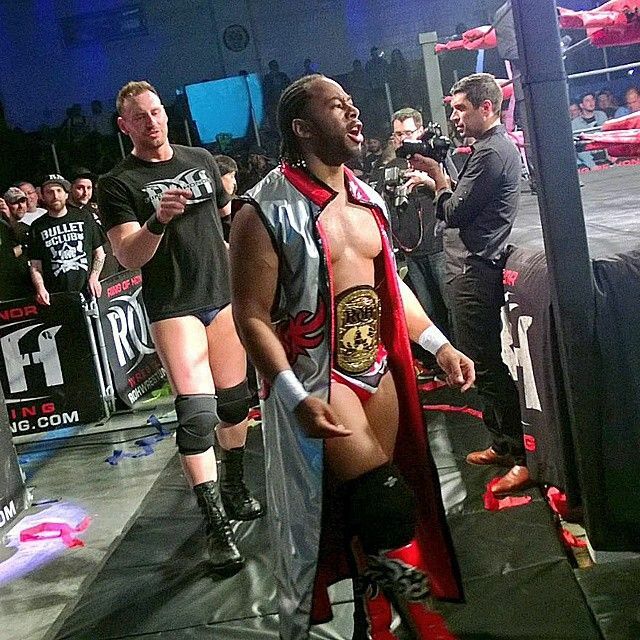 Match Result: Jay Lethal defeats Donovan Dijak via pinfall after hitting the Lethal Injection. After the match, Lethal is jumped by the Guerillas of Destiny, and out comes Jay Briscoe who steals the ROH World Title and stares at it before handing it back to Lethal as they face off and the show goes off of the air for the week. Great main event to a really fun show this week as these tapings have proven to be very good and I can't wait to see what's in store for us next week as they continue. That however will do it for me and this review of ROH TV, this episode is one that I would definitely recommend checking out as each match served a purpose. Thanks for reading once again and make sure to follow me on Twitter @Headliner5 and follow @EyesOnTheRing for all of your wrestling needs. Until next week, I'll see you right back here as we continue on with the War Of The Worlds tapings.